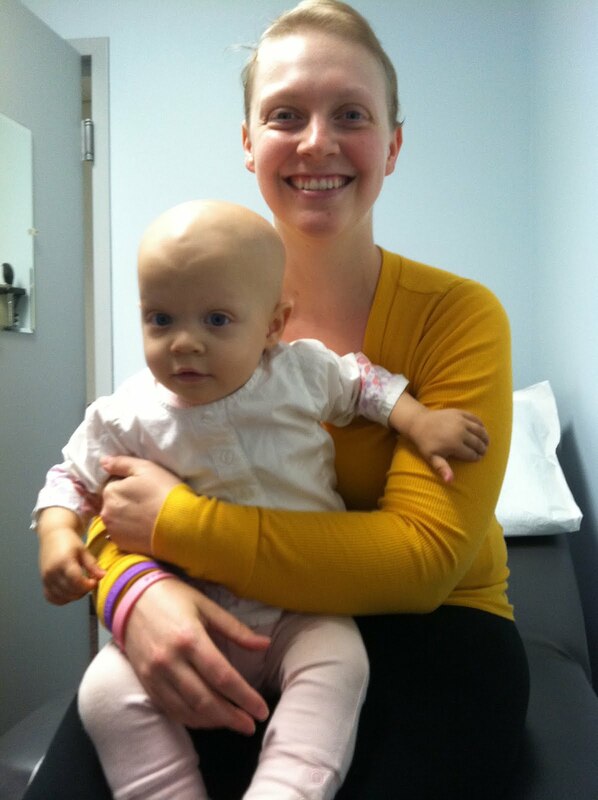 New Mom ..... New Cancer: Treatment Round 2 - the amazing Portacath! One cycle down, one to go before another scan to see how my body is responding. So far the swelling in my neck has gone down significantly and it's almost back to normal. I was scheduled for my second round of treatment on March 4th, so I had a Portacath put in the day before to make treatments easier. The procedure went well, but left me quite sore. When I went in for treatment the next day, I was worried that it would be uncomfortable to use it. I was very wrong. Even though I was still tender, the needle was small and went in quickly (unlike when they have to try and get an IV in me). My nurse, Chris, was able to put the drugs in quickly and didn't have to slow them down because of vein irritation. Even with the wait for my doctor's approval, I was in and out of treatment in less than 5 hours (it had taken almost 7 the first time). Even though I'm still a bit sore from the surgery, I've been feeling better this round. I still haven't felt like myself for the past few days, but my stomach is not nearly as easily turned. My energy level is super low, but napping seems to help, and some family help with the baby doesn't hurt either. Hopefully this time around I'll be able to visit with some friends and have some play dates for the baby. I think it would be good for her to play with some other babies, not just her loving adult family. Tomorrow I have a pulmonary test to see how my lungs are standing up to the medications. Hopefully everything will look good.